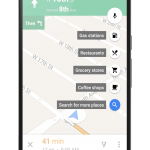 Google announced a new feature for Google Maps called Pit Stops in October last year, allowing you to add stops along your navigation routes. The feature was locked to the US (unless you used a VPN) but it seems it’s becoming available here in Australia. The pit stops feature is showing up for all of us here at Ausdroid, but only randomly on some phones — it’s working on 1 out of 3 phones for me — but it is working, even on tablets. 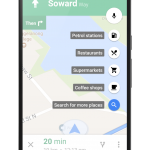 We’ve all updated to the latest version of Google Maps available through the Play Store (v9.20.1) so there may be some server side switching going on. 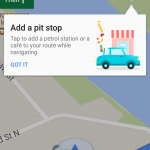 To check if you’ve got pit stops, simply load up Google Maps, navigate to an address and you should see a prompt on the first load telling you about pitstops. Your microphone button should now have moved and been replaced by a magnifying glass. Your choice of pit stops is the almost identical to the US release, with one fairly important difference: They’ve changed ‘Gas Stations’ to ‘Petrol Stations’ for the AU release, we’d prefer servo but we’ll take what we can get. The rest of the options are there though unlike the US we don’t get fuel prices on our Petrol Stations. 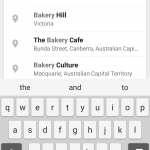 If your desired Pitstop isn’t on the pre-defined list you can search and find them by tapping the search icon at the bottom of the list. 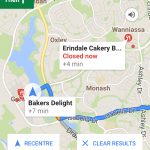 We’re having a bit of fun with it here, it’s quite a nice addition to Google Maps and something we’ve been wanting for a while. 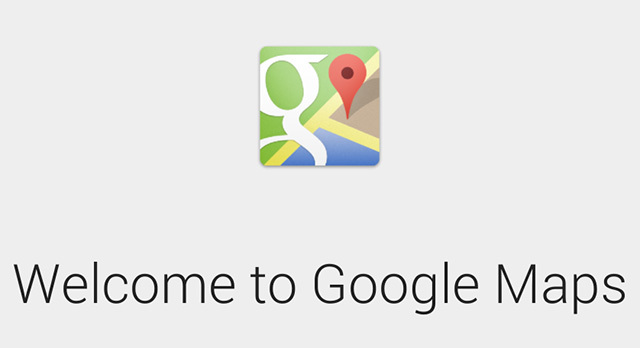 Load up Google Maps and see what you get. 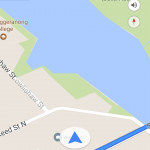 I think I’m going to appreciate Pit Stops when I’m driving to Mt Gambier in a couple of months. Still waiting on lane guidance!! Amazon is now offering free, ad-supported Amazon Music playlists to Alexa users · 1 hour ago. Stop the presses! Amazon Prime Video is coming to Chromecast and Android TV · 17 hours ago. Google brings a gentle sleep and wake feature to Google Home devices · 24 hours ago.